The office of tomorrow is already with us. You can see it in coffee shops, airport lounges and hotel lobbies across the world. It's called the mobile office and in some instances consists of only a laptop and a wireless broadband card. Even now mobile office options are evolving rapidly and the bewildering range of add-ons is growing every day. Ironically, the choices meant to make your life simpler and more productive are in fact becoming more and more complex. Arthur Goldstuck has once again come to the rescue.<br /><br />This vital roadmap guides you through the jungle of competing products and connectivity options, and helps you to decipher the hard-sell you are bombarded with daily. Should you upgrade now? Should you wait for the next version? Are you being led down an electronic dead-end? 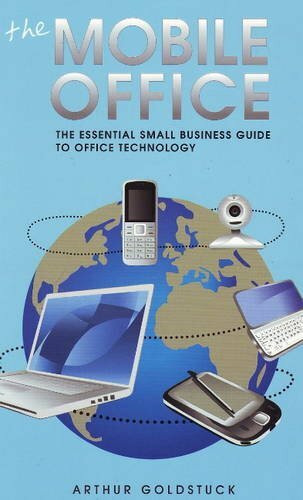 This book answers such questions with insights into older technologies that are still viable, practical advice on current office options and predictions on what will arrive in the near future. Whether you are self-employed, an entrepreneur looking to start up a small business or a corporate looking to become more efficient, this book could hold the key to your streamlined success. ARTHUR GOLDSTUCK is the head of World Wide Worx, a market leader in researching mobile technology.